Can Shopping Make You Crazy? 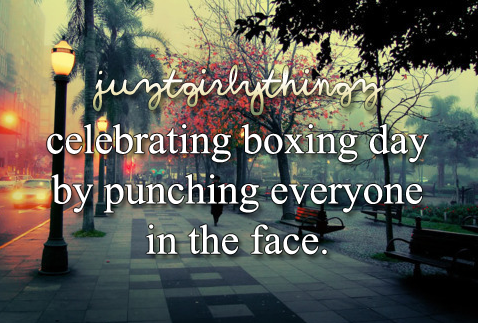 Christmas is coming soon and that reminds me of Boxing Day. Boxing Day in turn, reminds me of shopping bargains, which brings me to Black Friday and that makes me depressed. The local news carried live footage of Black Friday in the US and watching it, I was simultaneously mesmerized and horrified. Hordes of presumably sane individuals were wrestling, shoving and even pulling hair to get a full nelson on a flat screen TV. As I peeked between my fingers trying to look away, yet transfixed by the carnage, some of the shoppers were identified as Canadian. For me, that was the lowest point of all. Black Friday happens every year and every year I cannot believe my eyes. What complex set of psychological conditions turn a department store into a gladiatorial arena and middle class people into combatants? Social scientists like Ravi Dahr at Yale University have studied the phenomena of Black Friday and the consumer behaviors it precipitates. Such events are carefully orchestrated to pry open the shopper’s wallet and induce them to spend money. The stores open early so that customers are sleep deprived, excited or irritable and vulnerable. Opening bell bargains are irresistible and set the stage for a decrease in customer discernment and resistance once inside. The first purchase is usually the most deliberate and thoughtful but once executed, “shopping angst” is overcome and the internal accounting that leads one to evaluate the pros and cons of the next purchase weakens. As a result, customers start to shop less discriminately and at accelerated speed. Worrisome as it is, crowd mentality can fundamentally change people and allows them to behave irrationally. When an individual behaves badly, this provides an excuse for their neighbor to do the same, or worse. . If all of these conditions occur at the same time, as they do on Black Friday or Boxing Day, social scientists have shown that shoppers can behave aggressively, irrationally and even become deranged. Apparently, these responses are more common than we appreciate and, given the right circumstances, any of us could exhibit similar behaviors. If this is what a North American consumer is capable of, what if the desired object was not a luxury item, a toaster or electronics but a necessity, say, clean drinking water? Will there be legions of armed Californians, their water supply gone, massing at the border demanding entry into Canada to quench their thirst? After all, when a population 10 times your own needs something to survive, eventually they will take it, and, if the situation was reversed, would we be any different? I realize that these are hypothetical questions but they do require sober analysis. I have never shopped Boxing Day and knowing what I know now, I am unlikely to start. If these bad behaviors are ingrained in our genetic makeup, as academics suggest, I will stay home and not risk finding out that beneath my civilized veneer, a moron is lurking.